Guelph-Wellington Women in Crisis values your input and we want to hear from you. Your feedback helps to make sure we’re improving our services in a way that meets your needs. We welcome your feedback, whether praise or criticism regarding our accessibility, support services or your experience with G-W Women in Crisis. There are lots of ways you can get in touch with us. 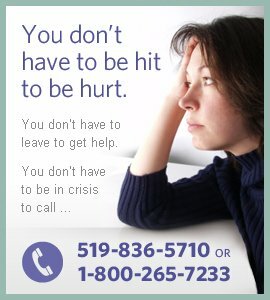 Guelph-Wellington Women in Crisis respects your privacy. We protect your personal information and adhere to all legislative requirements with respect to protecting privacy. We do not rent, sell or trade our mailing lists. The information you provide will be used to deliver services and to keep you informed and up to date on the activities of G-W Women in Crisis, including programs, services, special events, funding needs, opportunities to volunteer or to give, open houses and more through periodic contacts. If at any time you wish to be removed from any of these contacts simply contact us by phone at 519-836-1110 or via e-mail at adminsac@gwwomenincrisis.org and we will gladly accommodate your request.